What really got me going and passionate about photography however was when I got passed down my big brothers SLR camera which I still have to this day. 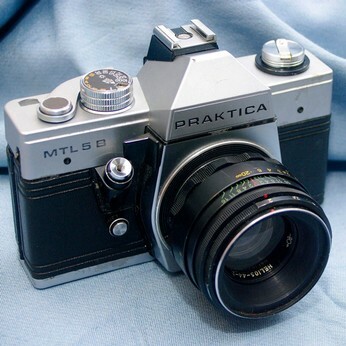 A Practica MTLB SLR film camera with a removable flash and interchangeable lenses. Ohh wow what a camera that was, especially when I got an 80-200mm zoom lens for it and saw it's potential and what I was capable of capturing, with a bit of bird and wildlife photography and action photos of my friends on their BMX bikes and skate boards trying not to fall off while looking super cool. My first introduction and step into the semi professional photography world was when my sister asked me to be the the main photographer at her wedding back in 2004, which also happened to be my first brush with a Canon DSLR camera. 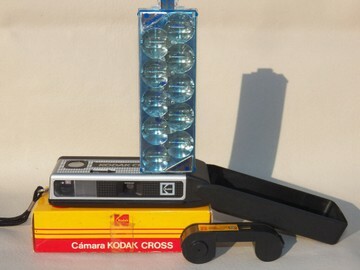 The camera was the Canon 300D 6.3-megapixel entry-level digital model shown below. This is where I really caught the bug for both wedding photography and also my love of Canon cameras which I have stuck with to this day and believe to be far superior to other manufacturers with maybe the exception of Nikon who are pretty much level with Canon. Anyway you will be glad to know I have moved on and no longer use any of these for my photography, and now use my Canon EOS professional class digital cameras. Yes that was cameras as in more than one as you can never shoot a wedding or other important event without a backup camera hanging from your shoulder within easy reach at a moments notice. Canon cameras are extremely reliable but you cannot take that remote chance of it failing at the most crucial of moment's say when the bride and groom have their first kiss. So as I mentioned we are a North East photographer business that provides services throughout the Tyne and Wear, Newcastle area, and Northumberland part of England. Whether you're looking for some family or baby portraits, Christening photography, Wedding photography packages, or party, or a sport & event photographer or promotional shots of yourself or a product you are selling we can help you. Visit our Photogallery and other areas of the website to see some example shots of our Contact page to drop us a message and we will let you know how we can help capture your day.